Before I opened psychically, after my second Near-Death Experience (NDE), I sought out a psychic reader to help me understand the confusion I was going through in a relationship. I was in love with man who was pushing me away. I was so desperate to have him in my life; I believed it would be forever! I felt a strong connection to him. So, I visited a local psychic. During the reading, the “psychic” told me we would definitely be together, but that I needed some additional “help.” This so-called “psychic intervention” would involve a series of special candles, spells and meditations at a high cost. Since I was so desperate to get the man back, I paid her a lot of money for the help she offered. It took several months before I realized how foolish I was to have paid a scam psychic all that money, as nothing ever came to fruition. Years later, after my psychic abilities emerged, I worked for some time on a psychic line where they were not very cautious or particular about the psychics they hired. I saw the listings of some of the other “readers” promising they could bring your lover back with their special “help.” My stomach would turn when I saw those listings, thinking back to my own experience of being hoodwinked into thinking I could have the man I desired against his free will. I understand why I had to go through that unpleasant experience with an unethical psychic. I have become very conscious about the way I treat my clients and what I could and could not do for them. I believe ethics is extremely critical in my field of work. I try my best not to make empty promises or give false hope to my callers. If I do not feel connection with the caller, I immediately send them on their way. It is my karma not theirs if I do not feel a connection, yet continue with the reading. It is also highly unethical and unkind to tell people what they hope to hear, instead of the truth. I take my psychic and healing abilities very seriously. I was given these abilities as gifts to help others, not to take advantage of others for personal financial gain. So, if you ever call me and I tell you I am not connecting with you, as sometimes that does happen, please don’t be offended. I am not being rude or unhelpful. I am just choosing not to waste your time or money, when I feel I cannot help you. There may be other readers who will be able to connect with you. A final word of advice: please run if a “psychic” offers you some help with casting spells or lighting candles for you to bring your lover back. Run! 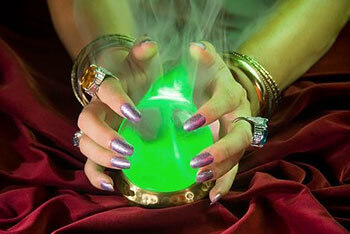 For more information about unethical psychics read How To Spot A Psychic Scam. Amy's two near death experiences (NDE's) pushed her natal psychic abilities into overdrive and her story is featured in a famous psychic medium's new book! She's experienced a rich life full of more ups and downs than most encounter in a lifetime, which has only helped her connect to her clients on a deeper level. Tapping into her clairvoyant, clairaudient and Mediumship abilities, Amy is a prominent radio show host, has appeared on other radio shows, and is a popular Tarot reader at Psychic Fairs and parties. This native New Yorker is an experienced energy healer, a Reiki Master, and channels gentle Angelic energies through an Integrated Energy Therapy Technique. It's an honor for Amy to help you in your time of need. If that time is now, you can find this gifted psychic at PsychicAccess.com. Such good advice! It pays to use a reputable site and know your psychic as a trusted friend.